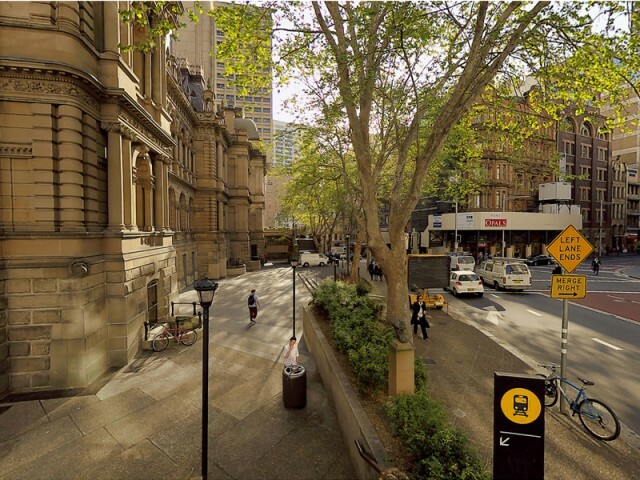 The site for Sydney Town Hall was Sydney’s first official cemetery which was used between 1792 and 1820 for the burial of its early residents. While the footprint for the Town Hall was exhumed and the graves which would have been affected by the excavation for the foundations of the building were relocated prior to the construction of the building, gravesites still exist in the area around the Town Hall. This explains why archaeological remains continue to be uncovered every time the area is disturbed. One of the conditions imposed on the Council in the 1860s prior to the construction of the Town Hall was that the site be enclosed with a sandstone wall and a fence. Early photographs show that wrought iron palisade fencing with gates and sandstone gate piers defined the curtilege. The fencing was removed in 1927 as a consequence of the construction of Town Hall railway station, and the fence and gates re-erected at St Joseph’s College, Hunter’s Hill. The creation of an open plaza between the Town Hall and St Andrew’s Cathedral is regarded as an important example of co-operative urban planning and this civic precinct has been an important rallying point for democratic expression, including the demonstrations against Australia’s involvement in the Vietnam War and the dismissal of the Whitlam Government during the 1970s. 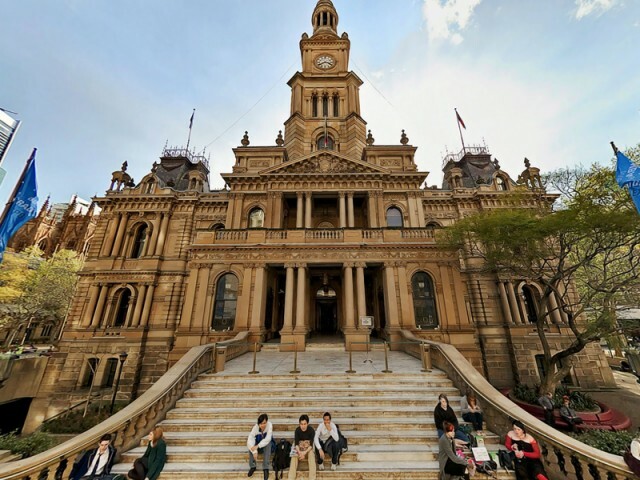 The Town Hall steps are Sydney’s favourite meeting place. 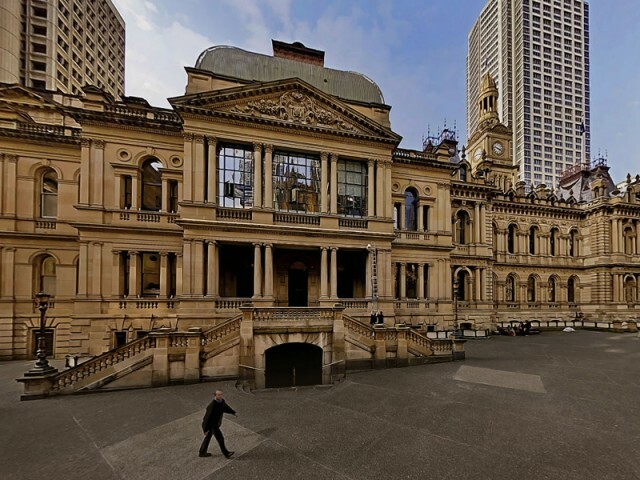 They have also been the ceremonial stage from which official dignitaries receive royalty and watch the parades which celebrate the achievements of victorious sporting teams, the contributions of military units and the cultural heritage of Sydney’s community organisations.